Being engaged is such a fun time in your life – it’s important to have it documented! 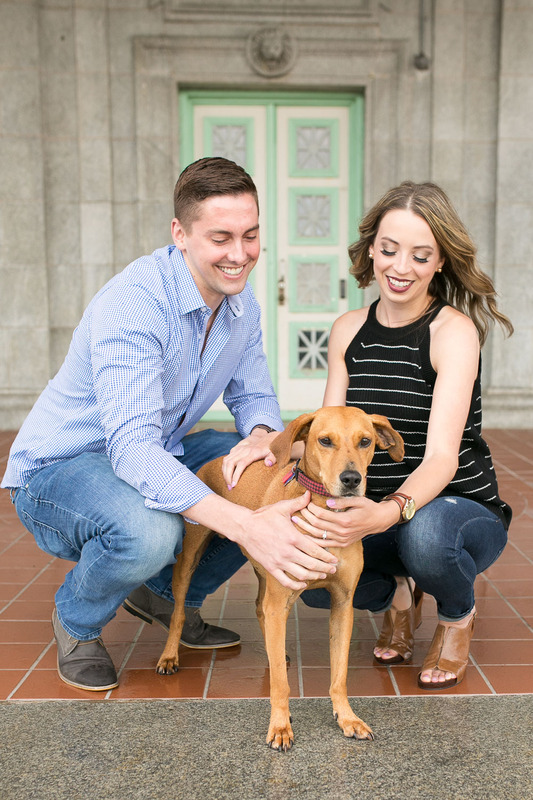 Engagement photos are a great way to capture your relationship in a fun, relaxed environment, and to also get some practice in front of the camera for those wedding day pictures. And of course they’re the perfect way to get a cute picture for your Save the Dates! We’ll work together to plan an engagement shoot personalized to you guys. Do you spend most of your free time on the trails? Then let’s go hiking! Do you love drinking wine? Schedule your engagement session at a local winery! I work with all of my couples to find the perfect location that’s meaningful to them. Not engaged yet but are planning to pop the question? I also offer surprise proposal photography! I love getting to be a part of this big moment, and capturing the excitement on your future fiancé’s face! For more information you can check out my frequently asked questions or fill out my contact form! How much do your engagement photos cost? My engagement sessions are $450, and they’re also included in my most popular wedding packages! I don’t know where I want to do my engagement pictures! Can you help? Of course. If you want a classic DC look, some popular engagement locations include the monuments, Union Market, Meridian Hill Park, and Eastern Market. Looking for more of an adventurous vibe? Shenandoah National Park is an amazing option, but there are also closer locations like Sky Meadows, Manassas Battlefield, and Scott’s Run! And of course there’s a million other great engagement photo spots – I’m happy to brainstorm with you. How do we figure out what to wear for these? I am very familiar with the struggle of choosing what to wear! My biggest piece of advice is to be yourselves. You'll want to be dressed up a bit, but make sure you're comfortable, and still feel that you look like you. And don't try to match each other completely - if you're both wearing a top that's the same shade of blue you'll blend into each other. Instead choose colors that complement each other. You’re more than welcome to send me photos of the outfits you’re considering, and I’m happy to provide some photographer input! You can also check out my Pinterest boards for some engagement outfit inspiration! Absolutely! I highly recommend having two outfits to give you some more variety in your photos. YES PLEASE! And it’s also a great idea to bring a friend along to help watch your pup while we get some photos of the two of you alone. 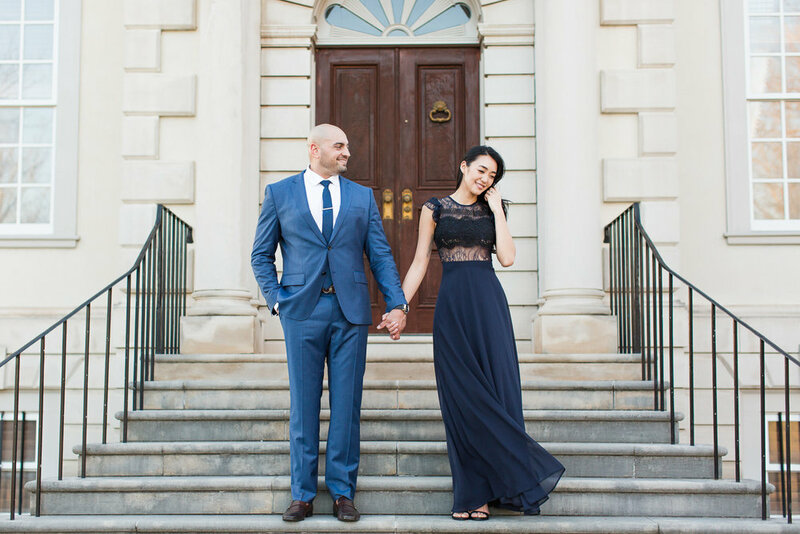 How long do your engagement shoots typically last? My engagement sessions are usually 1.5 hours. I want to hire a photographer to capture my proposal. How does that usually work? 1) I’m in hiding at a place and time we’ve pre-selected and I capture the moment from afar. or 2) You book a “couples session” or “family portrait session.” Your unsuspecting, future fiance just thinks that regular photos are being taken, but you plan to pop the question during the shoot. There are pros and cons to both methods, and I’m happy to chat with you to see what would work best! How much does proposal photography cost? My rate for proposals is the same as engagement photos - $450. Interested in booking proposal or engagement photos? Send me a message!